How Is Maintenance Carried Out of Aluminum Alloy Doors and Windows? Doors and windows are important embellishments of the building's facade. The quality of the doors and windows not only determines the level and taste of the building itself, but also quietly changes people's way of life. Aluminum alloy windows and doors can create a truly European and German style, exquisite, beautiful, stylish, heavy colors, while using high-quality materials, excellent silence effect. 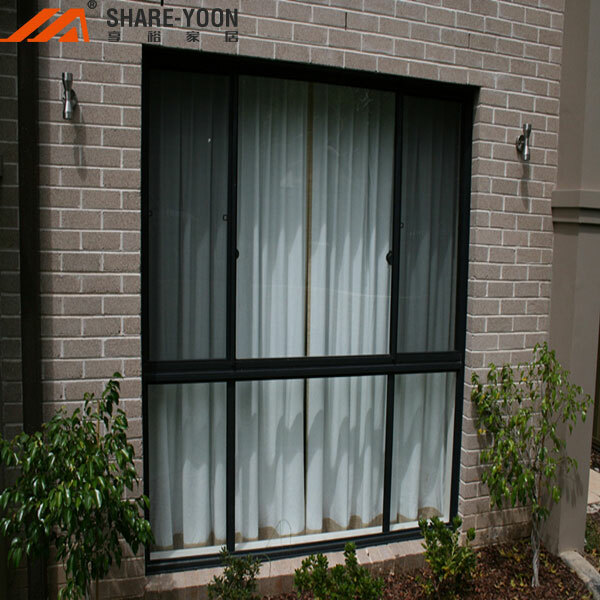 Because aluminum alloy doors and windows are widely used in housing renovation, how to use and maintain such doors and windows has gradually become a concern for consumers. How do we maintain aluminum alloy doors and windows? Aluminum alloy doors and windows should be open and close as light as possible in the daily use of the process. In addition, you'd better not to use too much force for internal sliding doors or external sliding doors. If obstacles are found when opening, remove them before opening folding doors. Do you know how to clean casement windows and doors? It suggests you are supposed to clean up the debris of the track. Or it not only will cause that the push and pull functions are not smooth, but also make a relatively large noise. What's worse, it will reduce the service life of aluminum alloy doors and windows. Therefore, what you need to do is to reduce the friction between the pulley and the track, which can keep the opening and closing of aluminum alloy doors and windows easy and flexible. In addition, it's important for you to know how to fix casement windows and doors. In peace time you ought to regularly check the hardware components of the aluminum alloy doors and windows. When you find there is a loose phenomenon, you should tighten the screw in time. Besides, some parts of the damaged components should be repaired or replaced in a timely manner. The sealing strip and glass seal of aluminum alloy doors and windows are the two key parts of indoor sound insulation. If the item is aging or shrinkage loosening, it should be replaced in time. In everyday use, direct contact with acidic and basic chemicals should be avoided. If it there are stain or dirt on the surface of aluminum alloy doors and windows, soft cloth can be used to clean water or neutral detergent to prevent corrosion of them. Although the quality of aluminum alloy doors and windows is better than that of other materials, it also requires regular maintenance during use. This not only maintains the appearance but also effectively prolongs the service life of aluminum alloy doors and windows. After reading this blog, do you want to learn more about related information? Please follow us and we will update more knowlege for you.